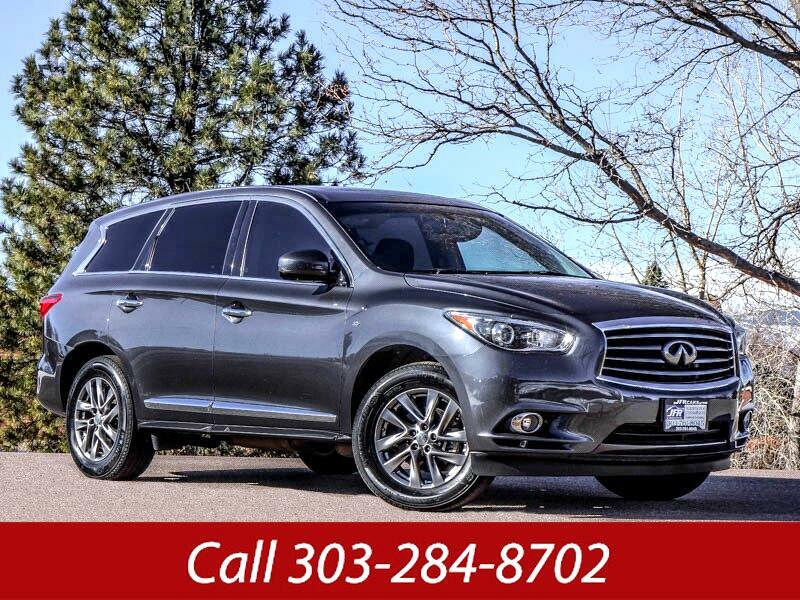 Used 2014 Infiniti QX60 Base AWD for Sale in Littleton CO 80120 JFR & Associates, Inc. Here's a great luxury crossover that is family-oriented and offers pure comfort. This is one of the more comfortable, luxurious and quiet rides when it comes to cruising down the highway. The interior offers flexible seating and easy access to the third-row seat. You'll find a rich combination of wood, metal accents, and leather that provides a nice feel to the cabin. This QX60 is a classy ride. This Infiniti QX60 offers a nice selection of options — tinted windows, sunroof, Satellite Radio, third-row removable seat, On-star, Bluetooth integration, a backup camera, heated front seats, memory seat, backup sonar, plus lots more to make your driving experience more enjoyable and pleasurable. Contact us today and schedule a test drive so you can experience pure luxury at its finest.